The peer-to-peer online marketplace OpenBazaar is preparing to undergo a major overhaul of the entire website. Up until now, OpenBazaar has focused mainly on Bitcoin – however, moving forward, the company has a suite of new features and projects planned for 2018. The firm’s co-founder, Washington Sanchez, also recently took to Twitter to tease on-site introduction of support for more cryptocurrencies. This marks a marked departure from OpenBazaar’s previous stance. Ever since the startup launched less than five years ago, it has more or less relied solely on the use of Bitcoin. Granted, ShapeShift was integrated into the platform during the end of 2016 to allow for the sending of payments in several other types of cryptocurrency, and both Bitcoin Cash and Zcash were added to the site just this past January. Nonetheless, OpenBazaar has been more or less synonymous with Bitcoin – until now, that is. That OpenBazaar would explore other cryptocurrencies as well in the future was revealed as the firm’s co-founder Washington Sanches vented some of his frustration over the Bitcoin scaling debate on Twitter. He stated that he regretted having invested a significant amount of time and energy in what he referred to as the Bitcoin ”scaling civil war”. He went on to say that this time could have been better spent developing and constructing decentralized applications (so-called ”dapps”), as well as making OpenBazaar open to a variety of cryptocurrencies. He also expressed frustration that ”instead, we had to wait for fees in Bitcoin to cripple any consumer usage before we woke up”. This comes as several different technologies are promising to help Bitcoin scale, such as the highly publicized Lightning Network. However, even though Bitcoin could potentially support a growing user base, it remains a valid point that some users might request other types of cryptocurrencies beside Bitcoin. Nevertheless, the adoption of more extensive coin support is not the only change taking place at OpenBazaar. The company announced plans during the Token Summit in December of 2017 that it would launch an OpenBazaar token, which it also reiterated in January after which it had raised a total of $10.5 million from investors. It also intends to create a ”cryptocurrency Pinterest” of sorts, where will use the OpenBazaar token, and reward popular posters with the chance to earn OpenBazaar tokens. Moreover, OpenBazaar is looking to overhaul its desktop website, as well as launch mobile apps for both Android and iOS devices. 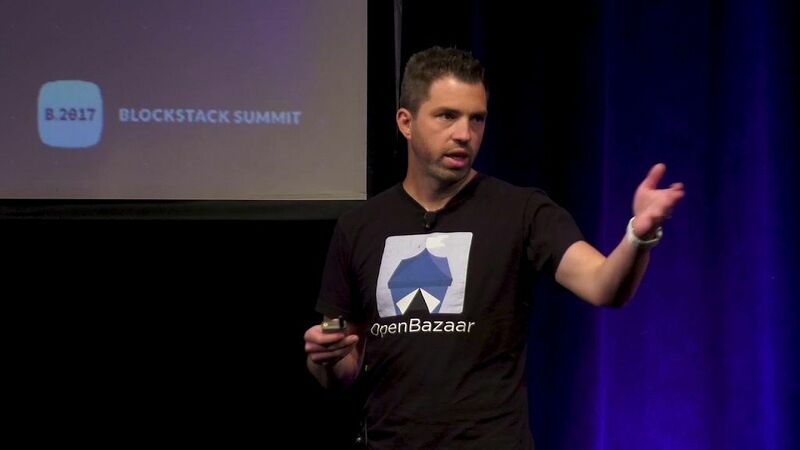 The OpenBazaar co-founder Sam Petterson will also break away from OpenBazaar to oversee the launch of a separate non-profit organization, the OpenBazaar foundation – which will further OpenBazaar’s engagement with the community and implementing their requests into OpenBazaar’s open-source protocol. It, therefore, looks as if OpenBazaar has its work for 2018 cut out for itself.